When you are not wearing your helmet, dont just toss it in a closet or under the bed. Place it on the Wooden Helmet Display Stand! This collapsible wooden stand can hold most helmets, transforming them into admirable works of art worthy of display in a living room or study. 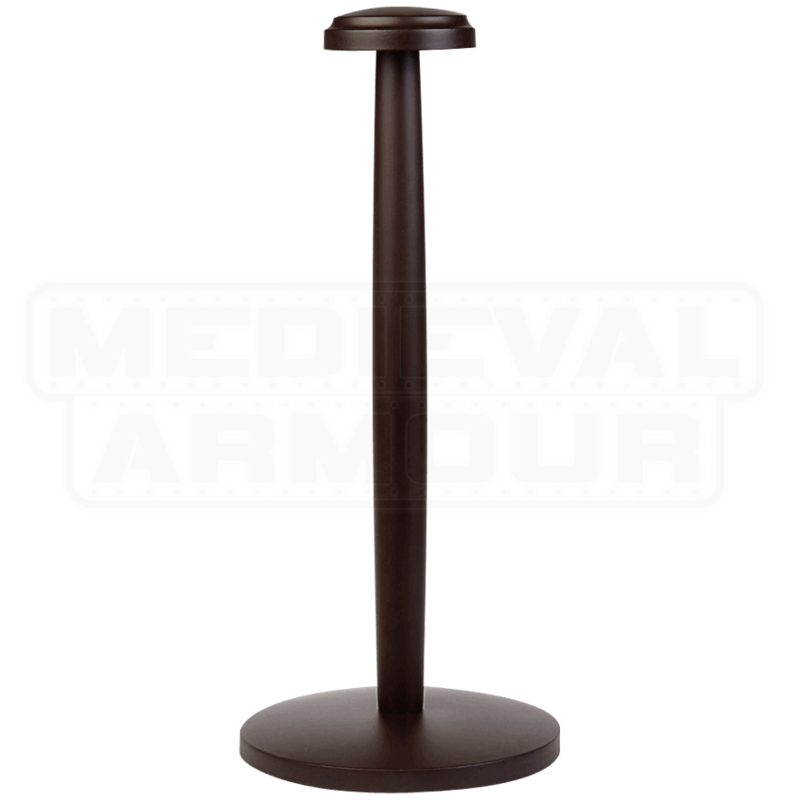 The wide, round base supports a cylindrical pole, the top of which ends in a round platform that will support most helmets, keeping them stylishly showcased and away from harm. 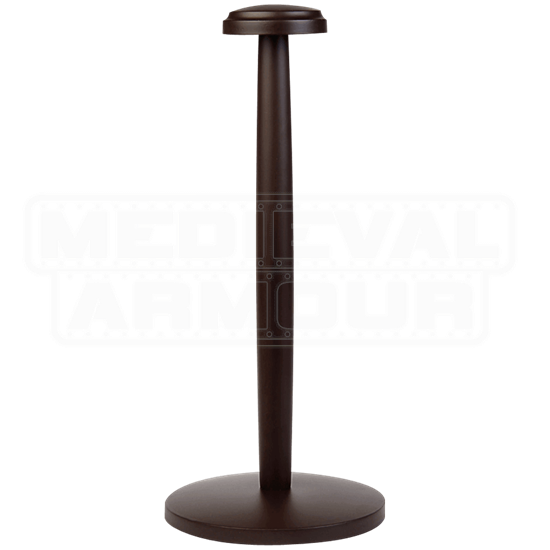 The classic design of this helmet stand will not overshadow any helmet, letting your valued armour piece to take center stage while lending medieval flare to your surroundings until your next battle calls it to use.